Cornell University Press, 9780801449802, 221pp. For many of the 1.6 million U.S. service members who have served in Iraq and Afghanistan since 2001, the trip home is only the beginning of a longer journey. Many undergo an awkward period of readjustment to civilian life after long deployments. Some veterans may find themselves drinking too much, unable to sleep or waking from unspeakable dreams, lashing out at friends and loved ones. Over time, some will struggle so profoundly that they eventually are diagnosed with post-traumatic stress Disorder (PTSD). Both heartbreaking and hopeful, Fields of Combat tells the story of how American veterans and their families navigate the return home. Following a group of veterans and their their personal stories of war, trauma, and recovery, Erin P. Finley illustrates the devastating impact PTSD can have on veterans and their families. Finley sensitively explores issues of substance abuse, failed relationships, domestic violence, and even suicide and also challenges popular ideas of PTSD as incurable and permanently debilitating. 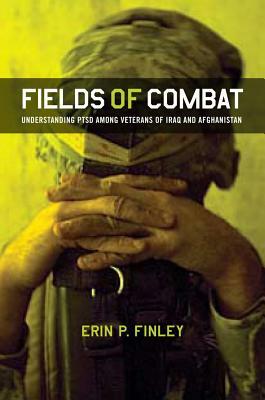 Drawing on rich, often searing ethnographic material, Finley examines the cultural, political, and historical influences that shape individual experiences of PTSD and how its sufferers are perceived by the military, medical personnel, and society at large. Despite widespread media coverage and public controversy over the military's response to wounded and traumatized service members, debate continues over how best to provide treatment and compensation for service-related disabilities. Meanwhile, new and highly effective treatments are revolutionizing how the Department of Veterans Affairs (VA) provides trauma care, redefining the way PTSD itself is understood in the process. Carefully and compassionately untangling each of these conflicts, Fields of Combat reveals the very real implications they have for veterans living with PTSD and offers recommendations to improve how we care for this vulnerable but resilient population.